The story of Ineke’s Mitten probably took root in me on a bleak, frigid, winter afternoon at the Army’s Black Rapids ski area in Alaska. It was 1959. As I stood in line waiting my turn to grab the frightening, whining rope tow, I felt I had grown up beyond my eleven years. I was holding my own skiing with the soldiers. I have always remembered that day whenever I think about skiing. It was the beginning. 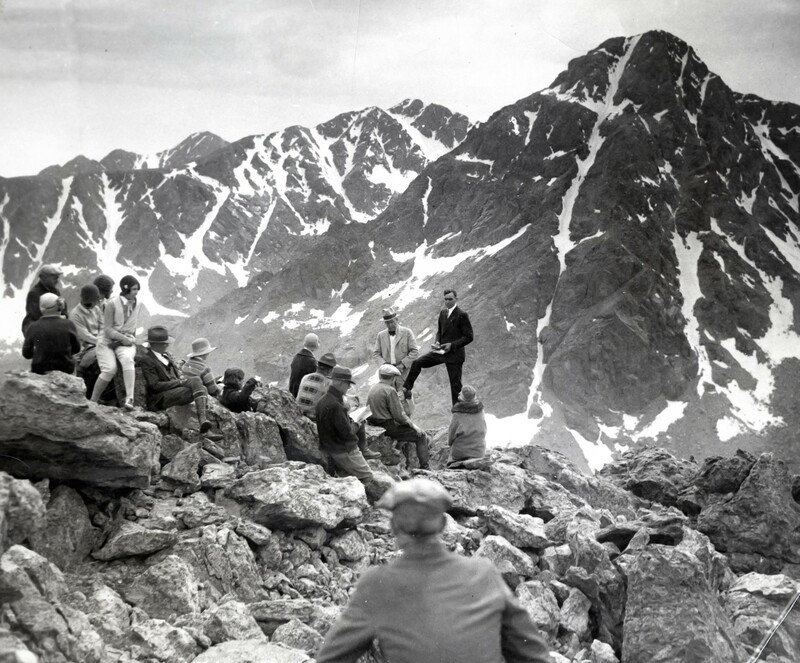 My father was stationed at nearby Fort Greely, Alaska, home of the Army’s Cold Weather and Mountain School. 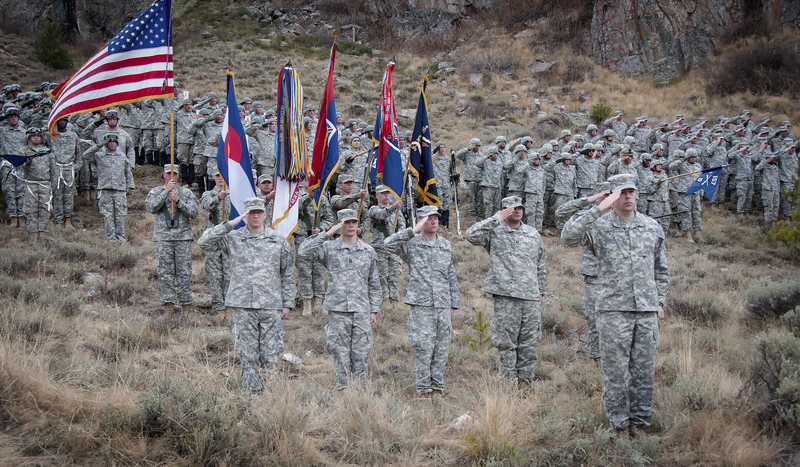 The training center was originally established in 1942 at Camp Hale, Colorado, home of the new Tenth Mountain Division. 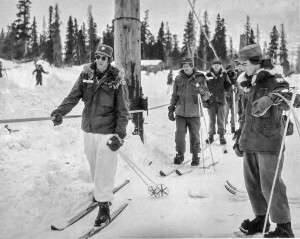 Winter warfare training moved from Colorado to Alaska in 1956. We arrived in 1958 and stayed until 1960. During my research, I discovered our next door neighbor at Fort Greely was Colonel Dured Townsend, commanding officer of the 86th Mountain Infantry Regiment, Tenth Mountain Division. He was awarded the Distinguished Service Medal for heroism in action against the Germans in Italy in April 1945. He never shared his exploits with us. So when I took over Vail Magazine in 1988, I met many veterans of the division, one of whom founded Vail in the early 1960s. 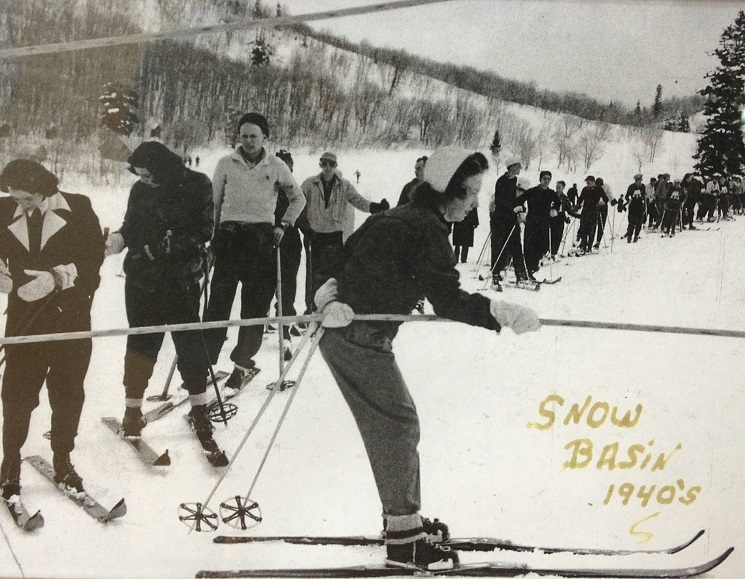 I began to research the full story of these mountain fighters, aided by the gift of a new book — Soldiers On Skis: A Pictorial Memoir Of The 10th Mountain Division by Flint Whitlock and Bob Bishop. 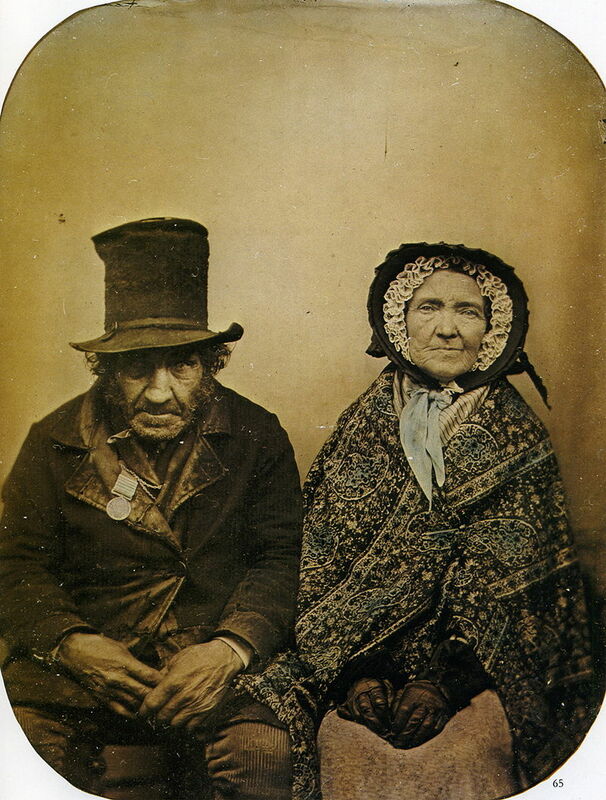 I found a photograph of Townsend in the book. The arctic, skiing and winter warfare are the backdrop for this story of love and friendship. Wow, sounds like an amazing story! I look forward to reading the finished novel. I’ve always wondered what it was like to fight in such different conditions like cold weather. You really never hear about the Mountain Infantry in the history books and I’ve always been fascinated in finding out more on how these types of soldiers fought. OK brother you have my interest! Growing up in Colorado I never knew the history nor did I know the existence of Camp Hale. I did visit there once and found an empty field with some old foundations laid by historical figures that I would never know. This sounds like an enlightening time in reading Ineke’s Mitten. Thanks for the glimpse into the book! An amazing image of the Constitution Day parade in Narvik – you can feel their pride and happiness in participating. To see this really brings alive what happens in the novel when the teachers defy the Nazi’s….and this colorful, patriotic crowd marches on. The courage to carry on in face of German oppression is palpable in the novel. You can also get a bit of glimpse of perhaps what the beautiful Ineke looks like and how much she is loved by Nels. And then there’s the mitten with the same desgin as the bunad…..